As Icon Residential wraps up construction on The Arlington, a 40-unit townhouse community on 8th St. N, plans for another residential development emerge. 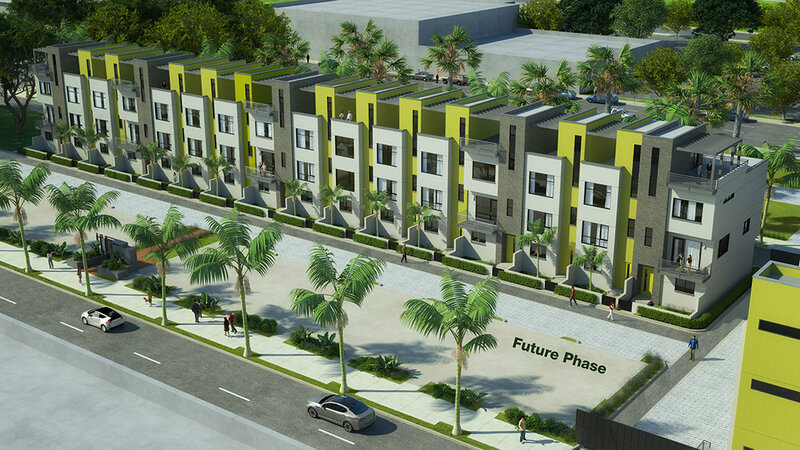 Situated just one block away on the corner of 9th St. N. and Arlington Ave., The District on 9th will bring 34 new townhouses to the burgeoning EDGE District of Downtown St. Pete. “Demand for our high quality fee-simple townhouse product is on such high demand under a $500k price point and the Arlington unit sales were so strong that we decided to jump on the opportunity to acquire the 1 acre site on 9th St and develop another boutique townhouse community,” said Icon Residential partner Mike Bednarski.